I love lifting weights and building lean muscle mass, so I was very excited to read and review “The Diabetic Muscle and Fitness Guide” by Phil Graham. 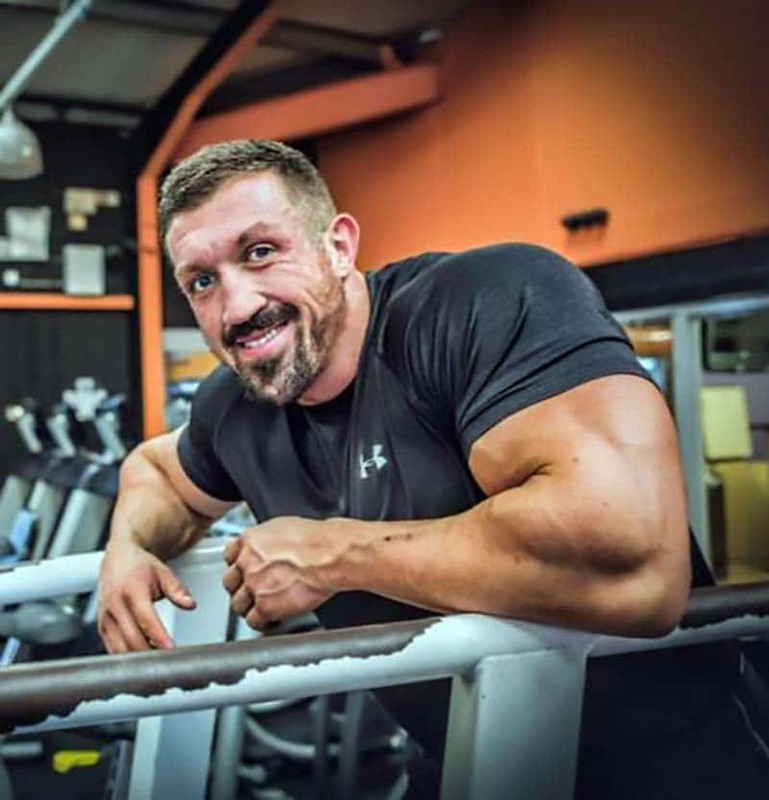 Phil is a type 1 diabetic, bodybuilder, and nutritionist, and he has taken on the serious task of passing on his knowledge regarding how people living with diabetes should go about building muscle. This book is clearly a passion project of his, and that shines through on every page. If you look at his pictures, he clearly practices what he preaches. However, this book is not just for diabetic bodybuilders and meatheads (like yours truly) – it’s great for beginners and weekend warriors too. 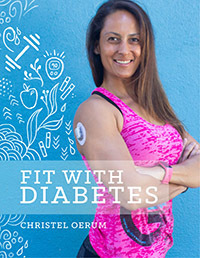 This book would also be great for personal trainers who want more information on how to train people living with diabetes, so it’s not a bad gift for your personal trainer either. Disclaimer: I received a free review copy of the book and this post contains affiliate links. If you read Diabetes Strong regularly, you know most of the basics regarding how to incorporate resistance training into your workout regime, and how to balance it with a healthy lifestyle and proper diabetes management. 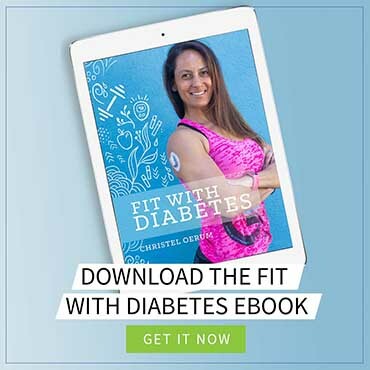 What The Diabetic Muscle and Fitness Guide can offer is a deep dive into diabetic muscle building, supported by Phil’s own experience and scientific research. I like the book because Phil doesn’t promise a magic bullet or any easy solutions. It’s not a fad diet book and he doesn’t have a vendetta against carbs. If you like my approach to health and fitness, you will most likely agree with Phil’s as well. Besides muscle building, nutrition and resistance training, he also touches on diet sustainability, mental balance and general tips for managing your diabetes when including muscle building in your routine. 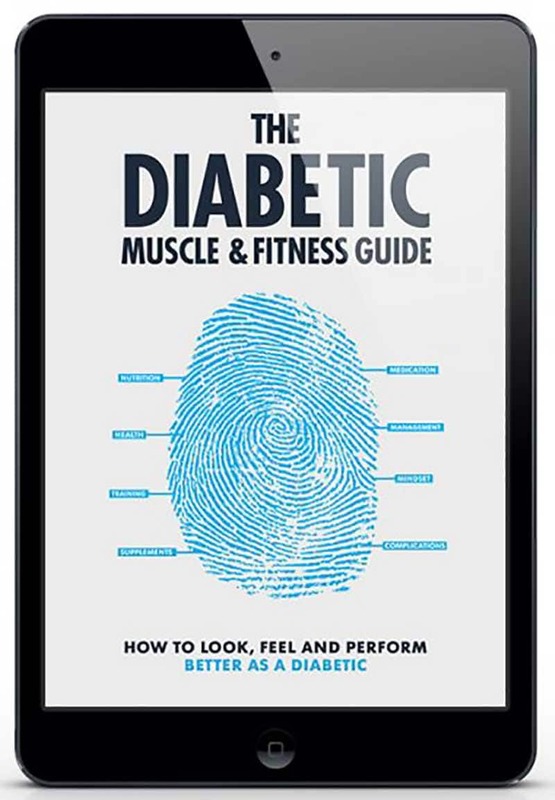 This makes The Diabetic Muscle and Fitness Guide a very well-rounded source of information for anybody with diabetes who is looking for a muscle-building framework, as well as for diabetics who want to understand why our bodies react as they do. His chapter on nutrition is particularly interesting. I absolutely applaud his straightforward, no-nonsense approach. He does a good job of explaining macronutrients so that they are easy to understand, and breaks down the way in which they affect the body in general, and our blood sugar in particular. And when I read the words “your body can store fat even when insulin levels are low. Total energy intake matters more when it comes to the rate of fat gain”, I pretty much knew I’d be referencing this book for years to come. The book comes with a list of online resources. You can access them even without purchasing the book, but they will make more sense after actually reading it. You can find resources for meal plans and weight training programs and learn how you create them for yourself. That’s my preferred approach to meal plan design since I don’t believe there is one meal plan that fits everyone. To quote Phil, “ultimately it seems that whatever diet is best for a person to achieve that goal is the one that counts“. 16-week intermediate or beginner training programs – Detailed day to day workouts, including body part splits and detailed explanations. Every book has its strong points and its weaknesses. For me, Chapter 3, which is about the physiology of diabetes, was the weak point of this book, so if you are short on time, or understand the basics of diabetes already, I suggest skipping or skimming this chapter. I’m not saying that it’s not important, I just find there to be better resources out there for that kind of information. For more info, see my post on educational resources. I like the book, and I believe I’ll be referencing quite often it in the future. It’s worth a read if you are starting out on your muscle building journey or if you are at a loss on how to do it right and don’t want to hire a specialized personal trainer like Phil or myself. You can buy The Diabetic Muscle and Fitness Guide here!